The ever green Fort portal town is filled with beautiful views surrounded by traditional homesteads and ruled by a traditional King. The Tooro Kingdom is one of the four kingdoms in Uganda with the Palace standing just across the town. Located in western Uganda, there are quite a number of places near fort portal you should visit. 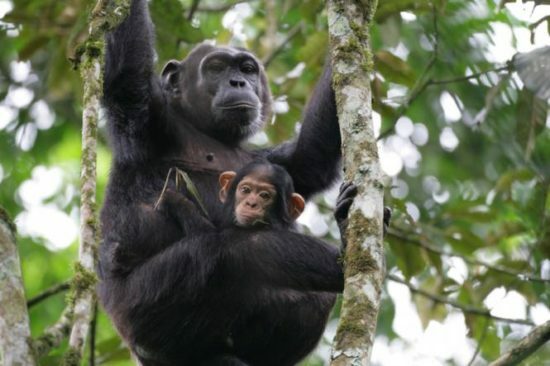 One of Uganda’s most magnificent rain forests famously known for the chimpanzees and 12 other primate species situated in the heart of Tooro Kingdom. Kibale is the primate capital of the world but also has a number of birds, over 372 species recorded. 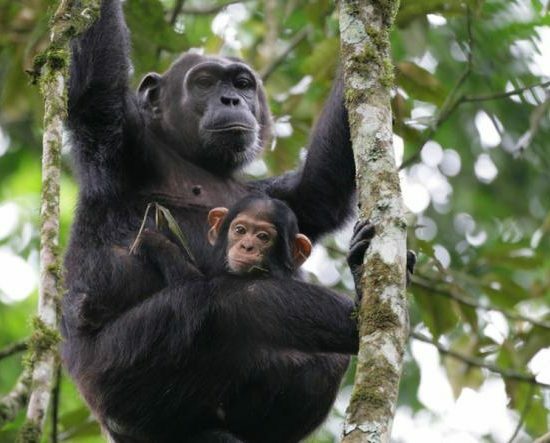 A visit to Kibale will reward you with sights of human’s closest living relatives – the chimps and primates like Collabus monkeys, blue monkey, grey cheeked Mangabey among others. The nearest town is Fort portal and if coming from Kampala, Kibale can be accessed via the Mubende Fort-portal route or Mbarara – Kamwenge route. The beautiful Tooro palace – also known as Omukama Palace, overlooks the catchy Fort portal town on Karuzika hill. It was built by the batooro in the in the early 1960’s with a unique architectural design which left an indelible impression on all those who beheld it. In 2005, it was rehabilitated to its old glory with support from International & local friends and currently hundreds of people every year come to visit this magnificent structure. The Tooro Kingdom was restored in 1993 and is among the four traditional kingdoms of Uganda – presently (2018) ruled by King Oyo. The Amabeere caves are an amazing historical site located a few kilometers west of fort portal town. They are believed to be the previous birthplace of the king of the ancient Bachwezi and its name means ‘Breasts of Nyinamwiru’. It takes about 3 hours to hike to these caves, and you will find stalactites which actually do resemble breasts of a woman. The Amabeere caves are a great attraction due to their great history and hundreds of visitors come here every year on hiking/guided tours. 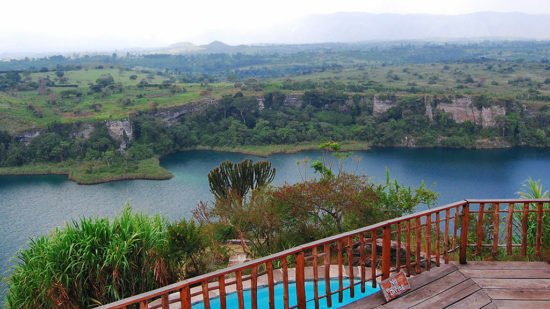 For those who have never been to fort portal, Lake Kyaninga is just another beautiful crater lake located just near Kyaninga lodge. It was formed about 10,000 years ago due to volcanic activity and has a meandering shape with the nearby rain forest adding shading to the beauty of this Crater Lake. This is an ideal spot for adventure lover since there is an opportunity to go hiking. The lodge nearby is situated in a luxury setting with views over this lake – a perfect place you’d enjoy waking up to. The gardens are known as a center of excellence in growing, maintaining and displaying living collections of the Albertine-rift. It also includes plants for conservation, scientific research and education, horticultural, medicinal, culinary, aesthetic and recreational purposes. Located in Fort portal town, the botanical gardens envisions itself in a society with a well conserved green environment. This is a perfect place to relax and immerse yourself in nature while listening to singing birds. The Bigodi wetland is a perfect bird watchers paradise with an extensive array of biodiversity which includes several primates’ species. The Bigodi Wetland Sanctuary is known for many bird species, over 200 recorded including Hornbills, Turacos, Parrots, Cranes, Kingfishers and the common one – the Great Blue Turaco. The sanctuary is known as a good example for community-based approach to the natural resources management. Rich in biodiversity and scenic beauty, the Sanctuary is situated on the wildlife corridor of Kibale forest – a must visit for all nature lovers. Established as a game reserve in 1926, the Semuliki wildlife reserve enjoys a dramatic rift valley setting between the Rwenzori, kijura escarpment and Lake Albert. Key species found within this reserve include elephants, buffaloes, Uganda Kob, Waterbuck, Warthog, Giant Forest Hog, and Primates such as Vervet monkeys, Red-tailed and Black and White Colobus monkeys plus many more. Visitors to this reserve can enjoy primate walks, nature walks, game drives and community walks to the nearby villages of Ntoroko. From Kampala, you can access fort portal via Masaka, Mbarara, then Kamwenge by road. Alternatively you can access the town via Mubende – fort portal road.